“We have announced that anyone providing information regarding Amjad Sabri or Awais Shah case will get Rs 10 million from Sindh government,” Qaim said. Sindh Home Minister Suhail Anwar Siyal said joint investigation teams (JIT) will be constituted for both cases. Fakhar-e-Alam said that all artists had been receiving threats therefore it was important that the police take their request seriously. Renowned Shia Noha reciter Farhan Ali Waris on Wednesday night claimed that unidentified men had attempted to ambush his car near Karachi’s Teen Hatti area on Wednesday night but the assailants fled due to firing of his security guard. 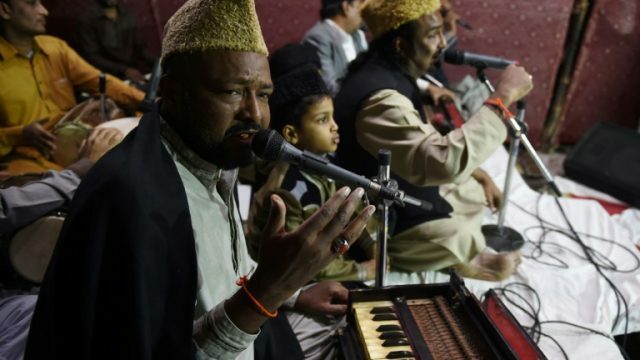 Earlier in 2014, the Islamabad Hight Court (IHC) had issued a notice in a blasphemy case to Amjad Sabri along with two TV channels for the playing of a Qawwali during a morning show.